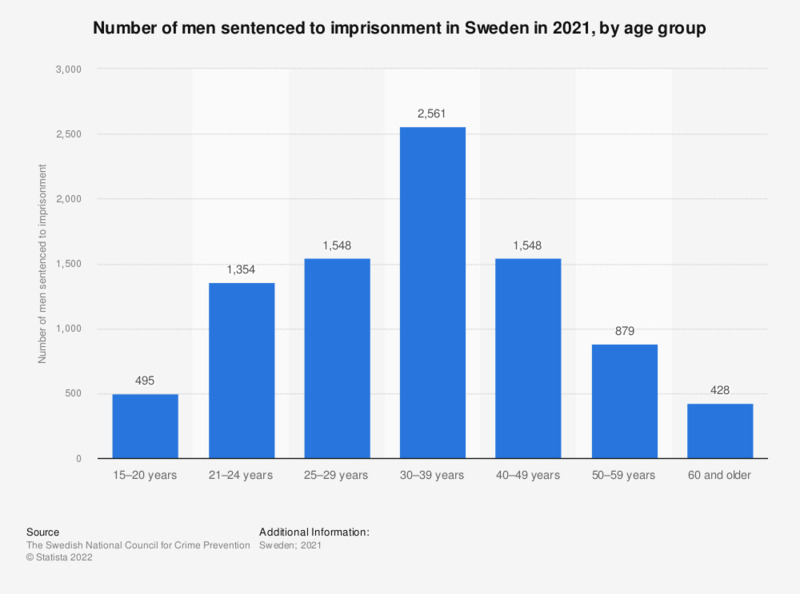 This statistic shows the number of males sentenced to imprisonment in Sweden in 2016, by age group. The age group 30 to 39 year olds had the highest number of imprisoned men, amounting to 2,162 persons. The age group 60 years and older had a total of 387 men in imprisonment, and was the age group with the lowest amount of imprisoned men.